The refining process is chemical and is realized by a specific and rigorous procedure that uses base chemical reagents with low-pollution impact. The cylindrical reactor with agitator is appropriately designed to allow perfect homogenization during the conduct of the process and ensure a complete reaction. 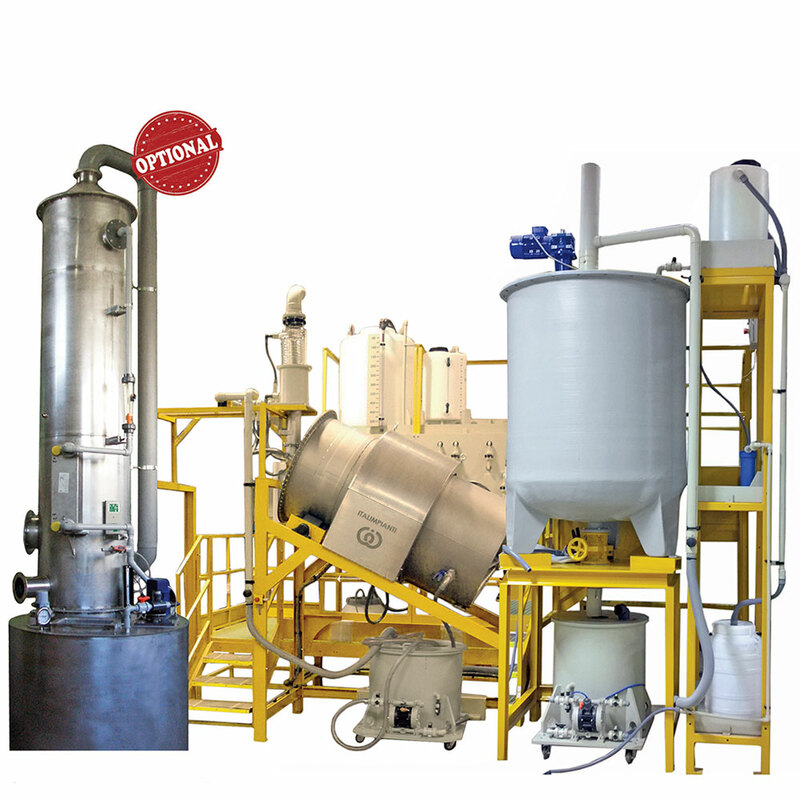 The filtration system is very versatile and allows to reduce the time of neutralization. The range of chemical refining plants is very broad and allows processing amount of silver up to 500 kg per batch. The production time can vary from a few minutes up to 3-4 hours for large installations which require high purity silver.